This chapter discusses the importance of the anterior cruciate ligament (ACL) for the function of the knee by examining the functional role of the cruciate ligaments in healthy knee joints and the functional results of different total knee designs. The cruciate ligaments influence the motion of the knee in multiple planes, restraining AP translations as well as axial rotations to varying degrees, based on the angle of flexion. Functional analyses of knee arthroplasty designs that retain no cruciate ligaments, the PCL only, and both ligaments show differences, with unicompartmental knee arthroplasties retaining function that is the closest to normal function. 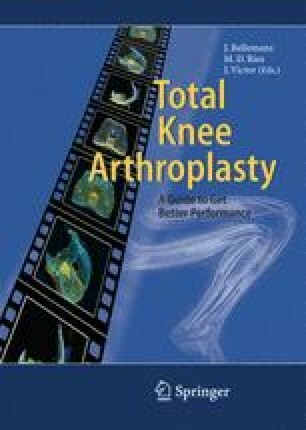 After total knee arthroplasties, even asymptomatic patients showed gait abnormalities such as quadriceps avoidance that could lead to reduced functional ability to perform activities of daily living over time. These results and continuing positive short- and long-term follow-up of patients who have received ACL-retaining prostheses should increase enthusiasm for these procedures in the future.